In the meantime, I was struck by this excerpt from his book Love Illuminated: Exploring Life’s Most Mystifying Subject (with the Help of 50,000 Strangers), where Jones describes the modern (human) (delusional) impulse for the improvement of all things, including the four-letter word in question, the secret of which continues to elude our grasp. In talking about love, Jones opts to describe it as an alien creature who, come to earth, is found to be an unsettlingly mysterious gift to us. Like E.T., we love this alien, but we also want to kill him. Sound familiar? I’ll let Dan tell the rest. We humans, in fact, hardly see anything in our lives that can’t be improved with a little elbow grease and ingenuity. We push to make progress on all fronts. Even love, we think, can surely be done better. Just tell us what we need to do to whip this love beast into shape once and for all, and we’ll get to work and make it happen. Yet despite all the money, research, electronic innovation, mathematical wizardry, and decades of experimentation, we seem to be stuck in neutral when it comes to improving love, still plagued by the same doubts and dilemmas that Shakespeare wrestled with nearly five hundred years ago. What do we know about love that he didn’t? What have we learned? What significant breakthroughs make love easier and better now than before? Any? …Which brings me to my final quiz question: If you had to imagine love as a living, breathing creature, what would you pick? A babyish-looking cupid? A furry animal with a heart-shaped face and pink ears? The Dalai Lama? Or something else altogether? When I imagine love in creature form, I actually picture it being more like E.T. 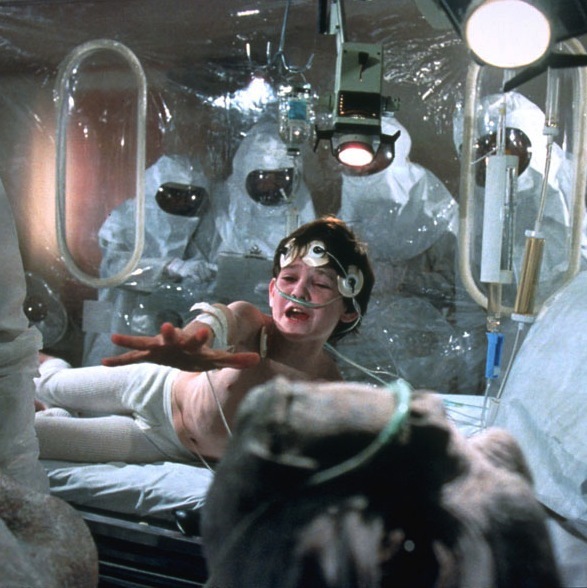 the extra-terrestrial, Steven Spielberg’s adorable space alien from thirty years ago who healed bleeding wounds with his glowing finger and exhorted his youthful guardians to “be good.” After all, isn’t that what love, at its best is about—healing wounds and being good? In the movie, however, E.T. is pursued so relentlessly by the scientists and government agents charged with figuring out what the hell this magical creature is, how he works, and where he comes from, that by the end E.T. winds up near death on a makeshift operating table, his red life-light dimming, electrodes taped all over his dehydrated body. Poignant words from the man whose job is to display this alien creature to millions of readers each week. It seems to be in good hands! From his description I couldn’t help but be reminded of the Pharisees of the New Testament, their fearful, linguistic circuit-testing around the heart of Jesus’ ministry. And it is this fearful game of logic (that we know so well still) which tends to inoculate us from the real healing power of love. More than figuring it out, we’d do well to befriend this alien force who has made us his own. Good post, Ethan. Very well stated and insightful. Love this post, Ethan. Just found it on the mbird magazine website. Look forward to reading the interview!